The Indian Premier League enters its 12th edition in 2019, and as always there will be some surprises in store for the fans this time, as it has always been over the last 11 years. Over time, cricket has turned into a batsman's game. Nowadays, even 200 is not enough in a T20 game and death bowling has become a crucial element of T20 cricket. On many occasions, the side with the best death bowling unit has gone on to lift the IPL trophy. Death bowling is an art which requires strong nerves, temperament, and the ability to bounce back even after getting hit for a maximum. Bowlers like Jasprit Bumrah, Bhuvneshwar Kumar, Andrew Tye are the new marquee players in this shortest format of the game. The ranking is purely based on the death-bowling abilities, and not necessarily on the IPL numbers. Here is a list of the 8 IPL teams ranked on the basis of their death-bowlers in the team. RCB missed him last season. Royal Challengers have historically suffered in the crunch games due to the fact that they don't have a perfect death bowler to finish the innings. The shorter boundaries of the Chinnaswamy Stadium don't support the cause either as some of their defeats have come from the jaws of victory, but the case should be the other way around. 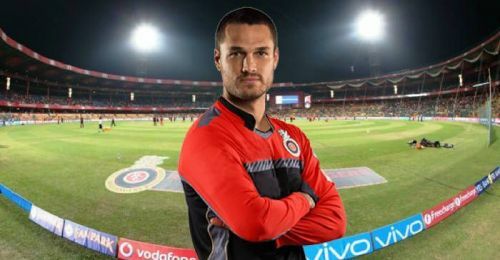 Ardent RCB fans will hope that the assigned death bowlers of the team will make a mark this time around and win close matches for them.